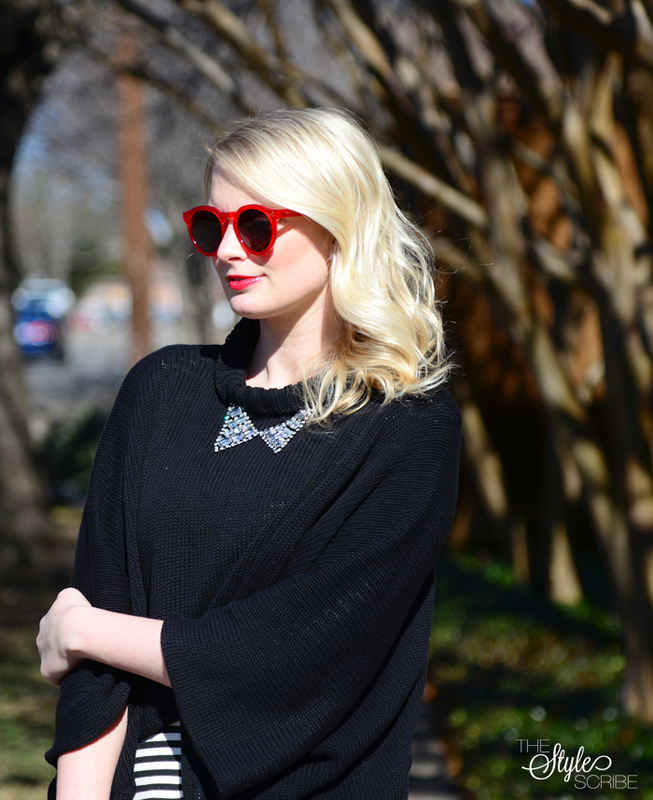 A pop of red is just what my closet needed, and my new Illesteva sunnies and YSL bag are the perfect shade. I definitely plan to wear the sunglasses with my bold red Joseph blazer at NYFW, and the bag goes with pretty much everything. Is it obvious I am in a color craze? What hue are you stocking up on? PS: I started trying out the clip-less curling iron my mom got me for Christmas – thoughts? I’m always trying to do different hairstyles. Any other tips and tricks to get it looking thick and healthy are appreciated! thank you! I definitely will be taking the iron to fashion week to try out some new styles… we’ll see how it goes! Gorgeous red purse! 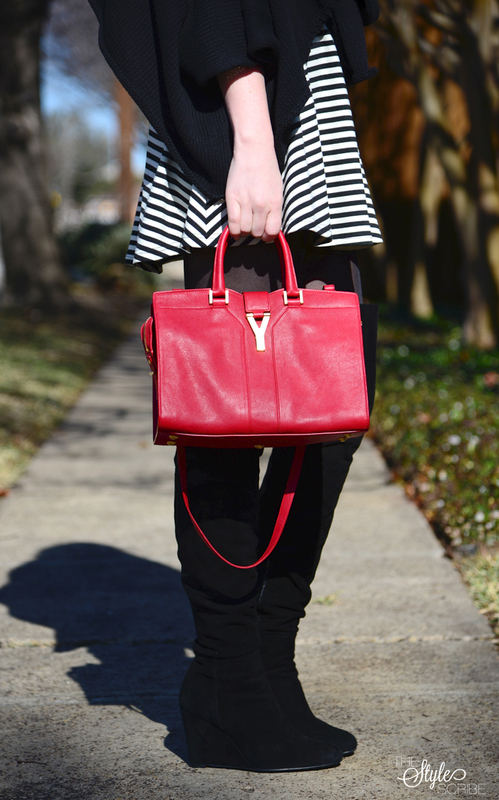 Love a classic YSL satchel! thanks Lindsey! It’s my fave new bag of course – love red! You look lovely! Adorable cape! Thanks for the tip Nikki! I’m always having trouble getting curls (and any hairstyle, really) to stay put so I’ll definitely try that next time! Those Red Shades are just perfect! Looking lovely! thanks! I’m obsessed with red right now – will I get to see you at NYFW in February?? Such cute sunnies and YSL bag! Red is such a go-to color, especially on that bag! It’ll be perfection, come Fashion Week! I’m currently loving cobalt and kelly green. Cobalt is another favorite of mine – great shades! Oh my goodness those shades are ahhhmaze!